As part of the history of Stonehenge I thought it might be interesting to start archiving some of the photos of this summer's protests. 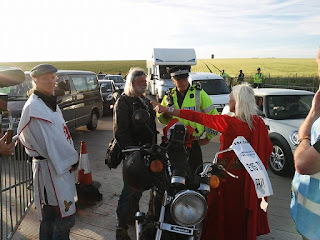 The background to the protests is English Heritage imposing new conditions for the Summer Solstice celebrations (paying to park and an alcohol ban) and then cancelling the Round Table meetings which have been the forum for all the "stakeholders" in the celebrations to work out their differences. 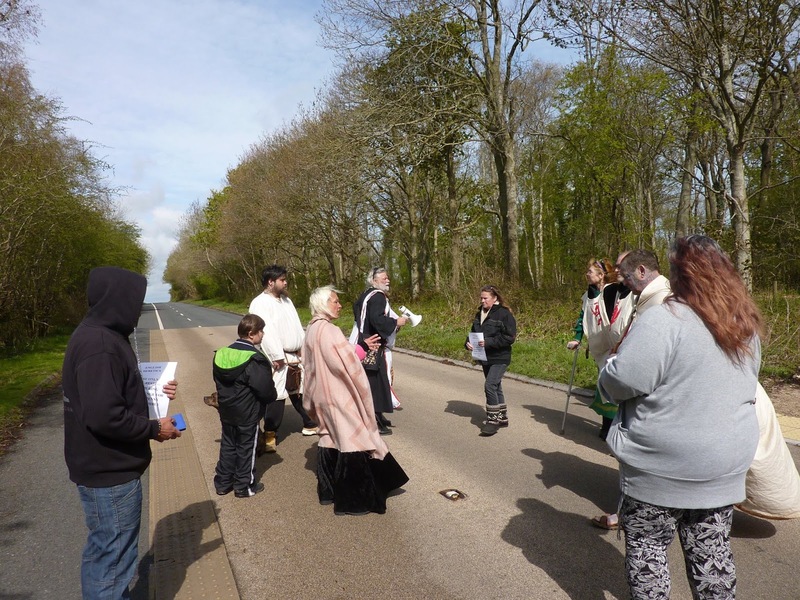 English Heritage felt the planned meeting would be threatening to their staff, whether the meetings will resume is unclear. Arthur Pendragon is the leader of the protests and other "Free Stonehenge" groups have allied themselves to his cause. 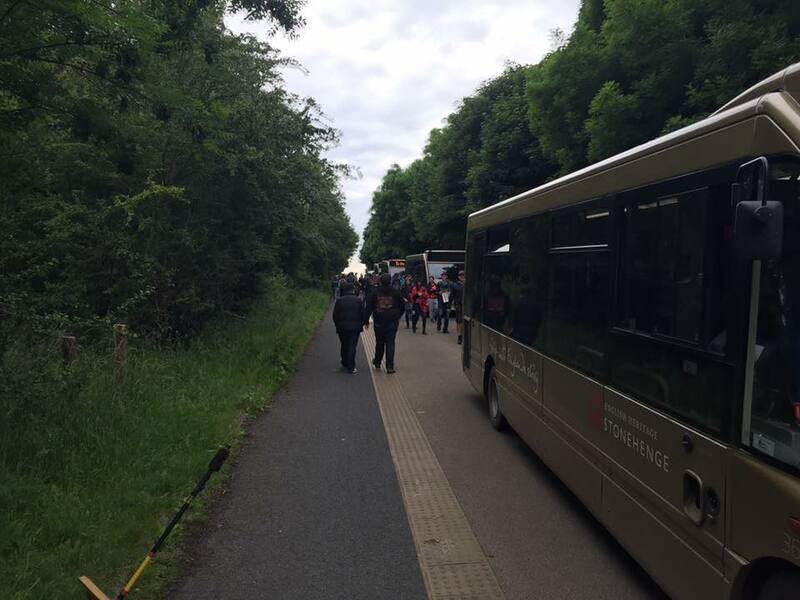 The protests have been using the A344 to prevent EH coaches from carrying visitors to and from the stones, making the visitors walk (exceptions have been made for the old and infirm). 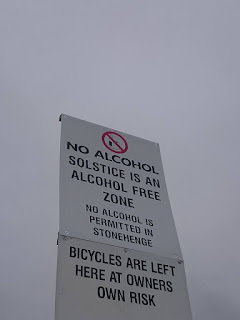 It is ‘our’ intention to attend the Managed Open Access at Stonehenge in order to celebrate the Summer Solstice as is our right under article 9 of The Human Rights act. 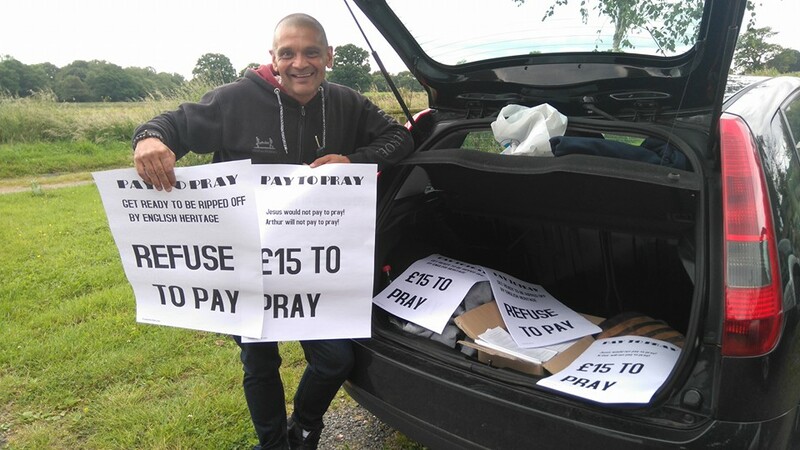 We have absolutely NO intention whatsoever of adhering to EH’s new ‘Pay to Pray’ policy. 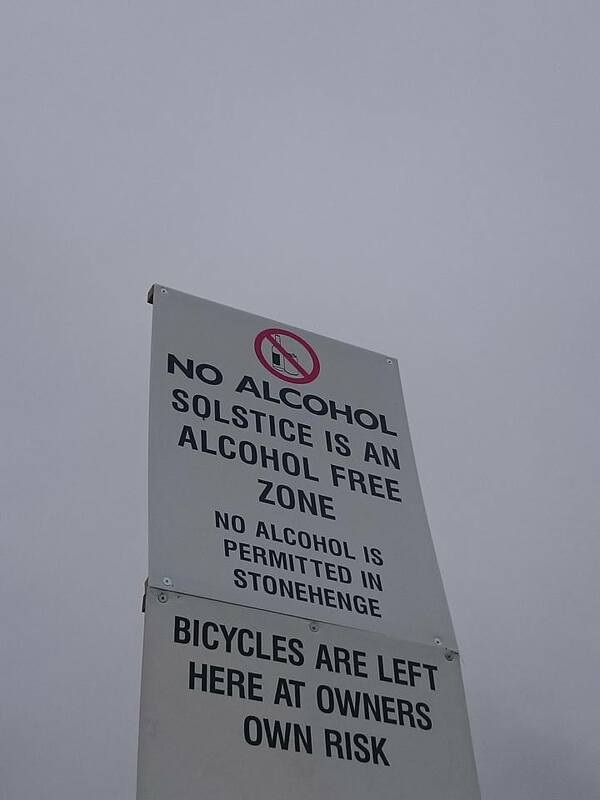 Nor will we be told how we may or may not celebrate. 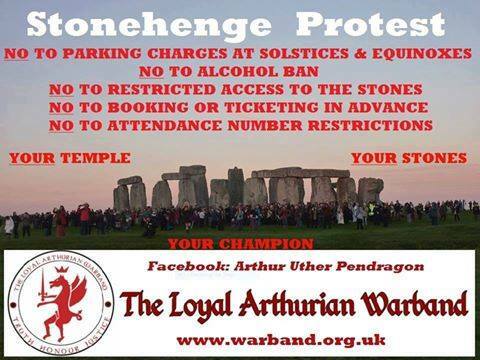 Here is the Text of the notice Arthur Pendragon was handing out. 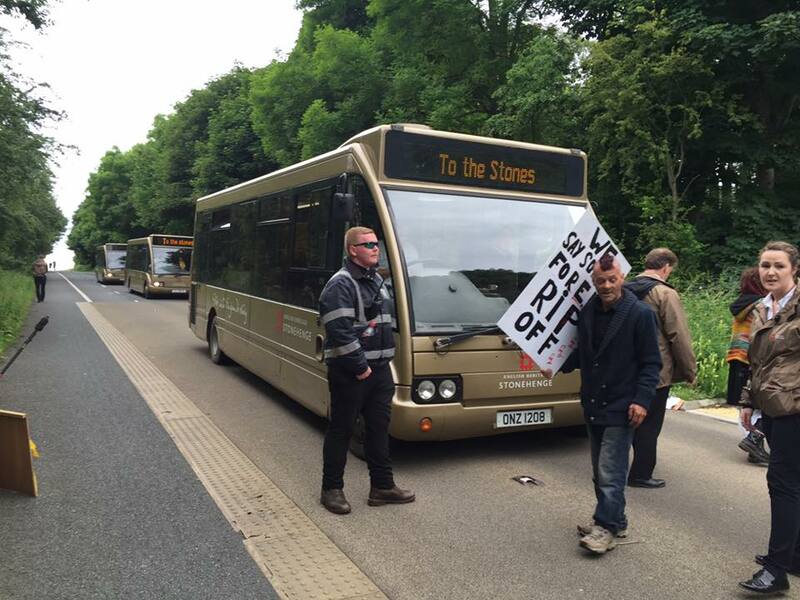 Well done to the Warband and to the Free Stonehengers who assisted. 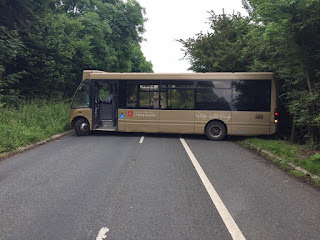 I managed to 'Block' off one lane for a couple of hours but unfortunately they had four more. 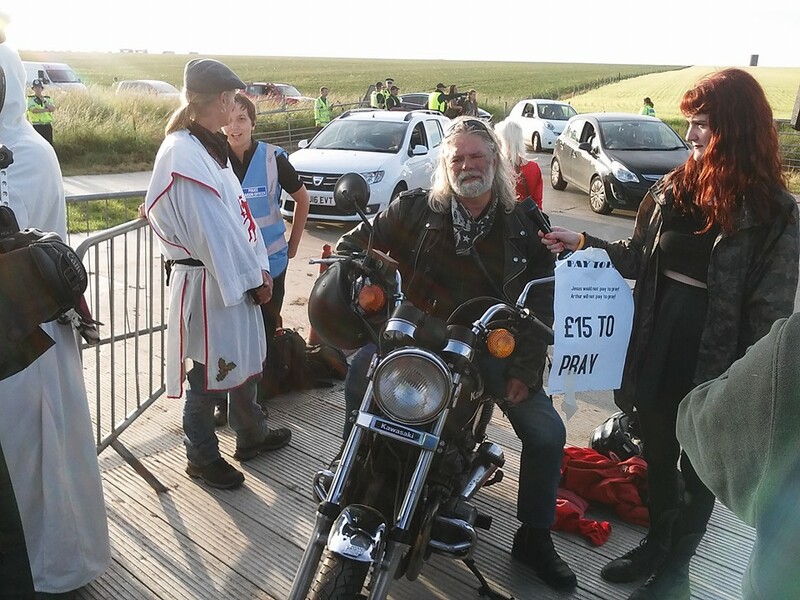 We will be 'STEPPING UP' the protest as I was illegally refused entry and was thereby unable to manifest my religious beliefs on the occasion of the Summer Solstice at my place of worship. (1) I/We accept all terms and condition issued by EH save for the Introduction of car-parking charges and the Prohibition of alcohol in the Monument/ Temple field, which we believe to be illegal, under both European and domestic law, and to be disproportionate in its implementation to the Pagan Community. 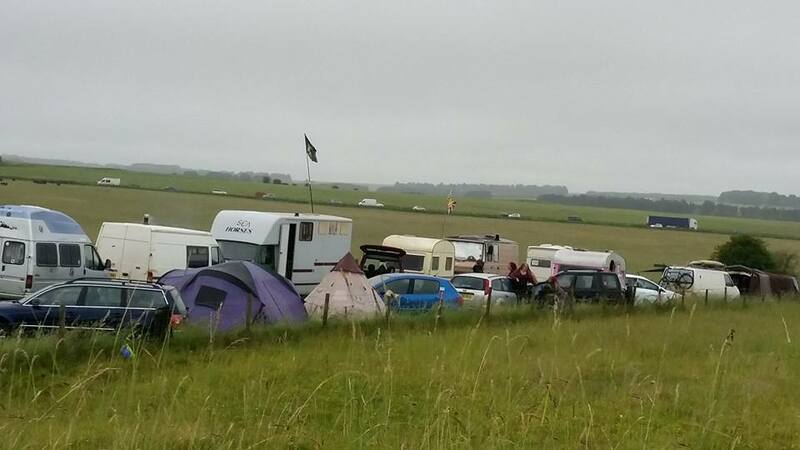 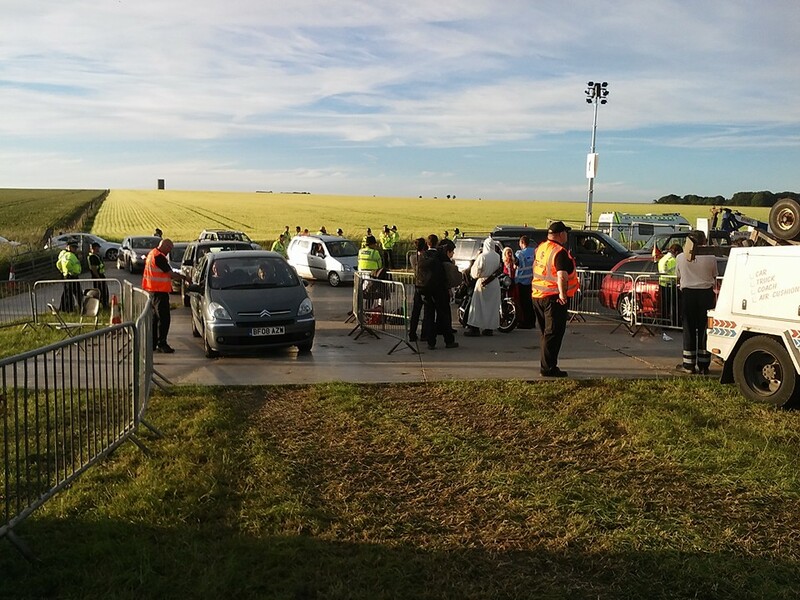 (A) English Heritage has ensured that they have the Monopoly on parking in and around the environs of Stonehenge by applying for and the granting of Traffic Restriction Orders on all The Adjacent By-ways Open to All Traffic. (C) Wiltshire Police were and are, not re-directing those of us who refuse to pay against the flow of traffic and in doing so have effectively instructed EH not to restrict our progress into the temporary car-park for safety reasons, and in the interests of Traffic management. Any (Clamping) or tampering with this vehicle or any goods or chattels therein is illegal and we will prosecute English Heritage and/or their agents or subcontractors for any such tampering or removal of said vehicle without our express consent. (1) It is claimed both alone and in the community with others, both public and private, for Worship, Teaching, Practice and Observance, apply in this instance. 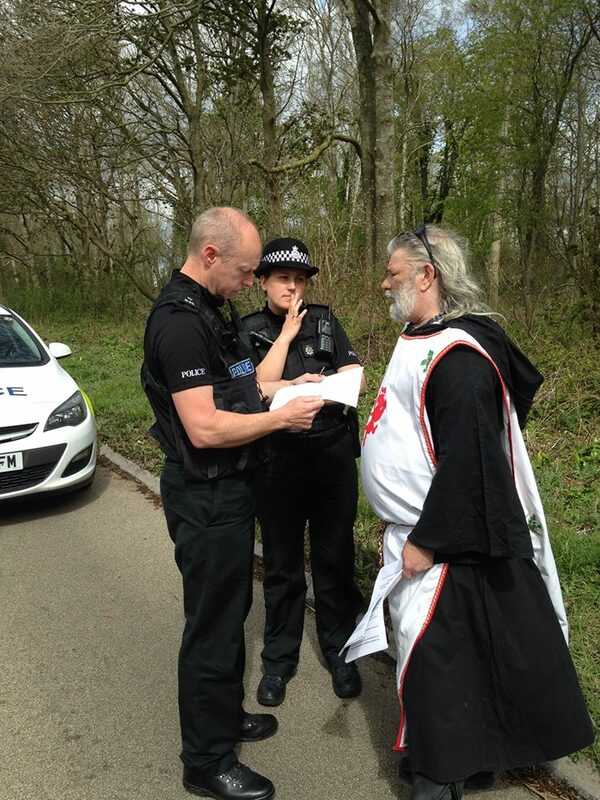 (2) None of the reasons listed in The Caveat or Codicil apply in this instance. A rule of conduct, obligatory on those within its scope, established by long usage. 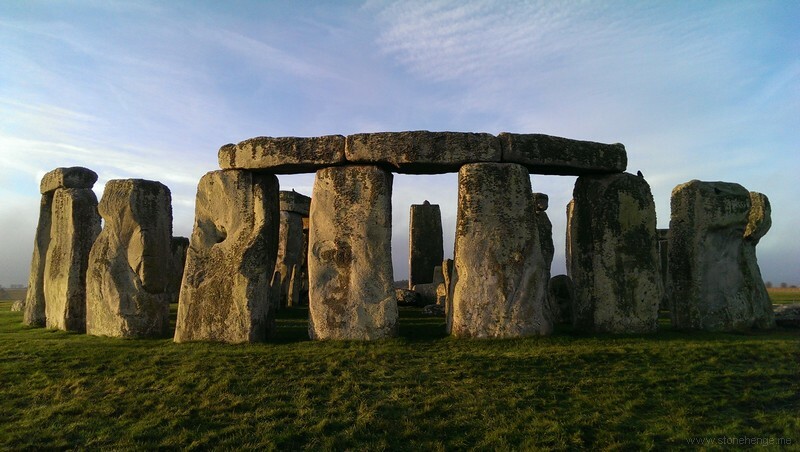 A valid custom must be of immemorial antiquity, certain and reasonable, obligatory, not repugnant to statute law though it may derogate from common law.